The JEOL JXA-8200 Superprobe in our institute is a high resolution SEM and a WD/ED Combined Electron Probe Microanalyzer (EPMA). 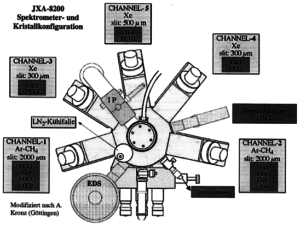 The Electron gun consists of a tungsten cathode. Five wavelength dispersive X-ray spectrometers (WDS) and an energy dispersive X-ray spectrometer (EDS) gives the possibility of efficient and accurate analysis. 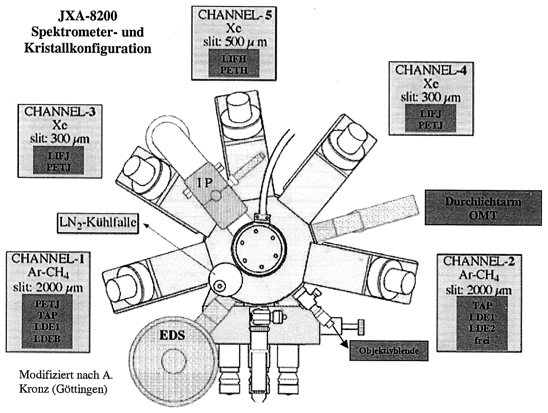 The WDX spectrometers are able to analyse all elements Z > 3 with different crystals (LIF, PET, TAP) and LDE1, LDE2, LDEB for light elements (Be, B, C, N, O, F). 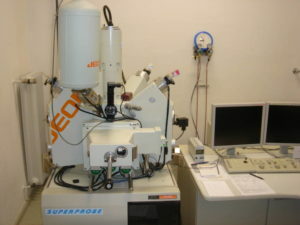 In addition one can observed specimens with a visible-light microscope (reflected and transmitted light). This equipment allows to determine the chemical composition of different samples. 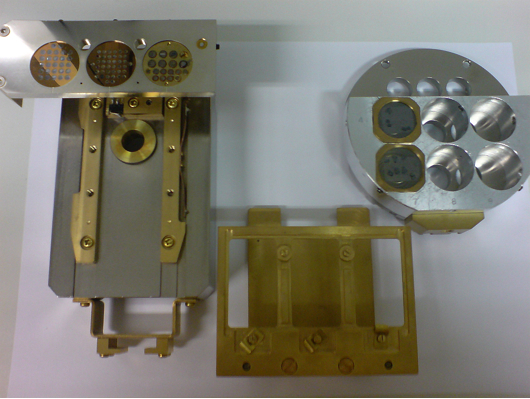 The high-speed large specimen stage (HSLSS XM-81010) belongs to the Electron Probe Microanalyzer can handle samples up to 9 x 9 x 2 cm (L x B x H) through the airlock, and can reposition a sample to less than 0.5um. Detectable element range: 4-Be to 92-U (all elements with Z > 3). Eight crystal types: TAP, PETJ, PETH, LDE1, LDE2, LDEB, LIF, and LIFH. Layered dispersive elements, gas-flow detectors allow light-element analyses. 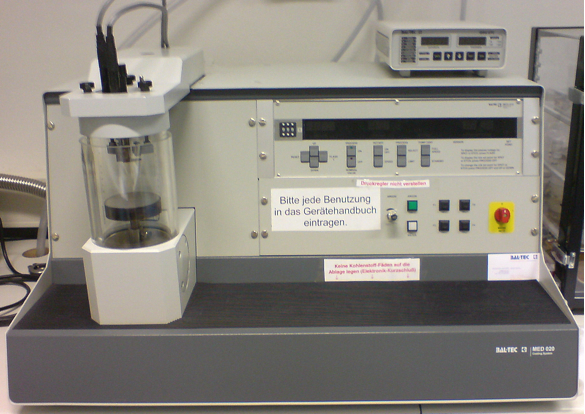 Solid-state Si(Li) detector, liquid-nitrogen cooled, Ultrathin detector window. SE image resolution: 6 nanometers (at 30 kV accelerating voltage; 11 mm WD). BSE image modes: composition (sum) and topography (difference). 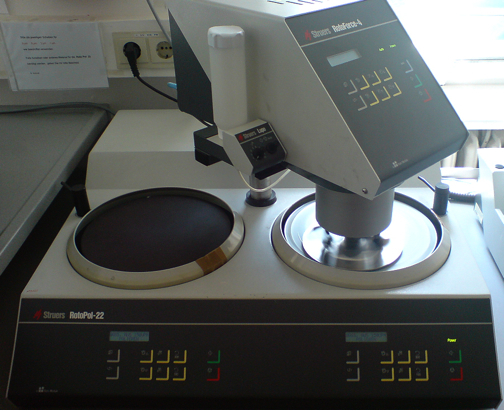 Maximum sample size: 100 x 100 x 50 mm (H). Maximum analysable area: 90 x 90 mm. Accelerating voltage: 0.2 to 30 kV (0.1 kV steps).